CEOs have long complained to me about information technology. They complain about high-priced consultants, and that IT projects are too expensive and fail to yield a return on investment. 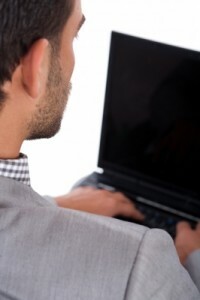 Indeed, two 2011 studies underscored the need for IT professionals to become more businesslike. In it, she cites a study by McKinsey consultants and Oxford University that show both public and private sector IT projects can be a headache. But the public sector gets more criticism thanks to enterprising journalists. Ms. All cites Oxford Researcher Bent Flyvbjerg in a silicom.com article. She quotes researcher Flyvbjerg, who provides his five solutions to prevent out-of-control IT projects. 1. Benchmark it. This should be the first step, says Flyvbjerg, because it will help organizations understand everything that follows. 2. Get the bias out of the business case. The researchers found most IT projects are “highly biased,” with inaccurate estimates of costs, schedules and benefits. 3. Minimize complexity. This advice gets repeated a lot. 4. Limit project duration. The researchers found that projects that lasted longer than 30 months are the most likely to go out of control. 5. Get a master builder. It’s important to enlist someone with proven project experience, Flyvbjerg says. A Tenable Network Security study indicates 90 percent of security professionals are aware of reported breaches, but the majority don’t take proper action. The study surveyed attendees at the 2011 Gartner Security & Risk Management Summit. More than 90 percent were aware of the Citigroup, RSA and Sony breaches, but only 23 percent didn’t act on the information. “Nearly half (46 percent) of attendees surveyed had experienced some form of insider threat while at their current company, but surprisingly ‘preventing insider threats’ was ranked the second-lowest information security priority for the next six to eight months by the field,” said the press release. “Even more surprising, one in three security professionals admitted that they had violated internal security policies they created in order to complete a work-related task quickly and/or easily,” Tenable added. Yes, part of the problem with such IT projects is the lack of full participation by upper management, but clearly, chief information officers and their staffs have to do some needed footwork in communication and planning. Why CFOs Are Still Calling the Shots in IT Decisions — The top IT decision-maker for many companies is not the chief information officer — the chief financial officer is, according to a Garner study. How CIOs Can Get More Respect in the C-Suite — Despite the importance of their work, chief information officers have difficulty earning respect from senior executives. Here’s what to do about it.